Audrey Sim, DDS, loves going to work every day to create healthy and brilliant smiles. Since 1993, she has provided outstanding, gentle, state-of-the-art dental care to children, teens, men, and women in Algonquin, Illinois, and surrounding areas at her private practice, Algonquin Smiles. She loves giving very young children a positive first dentist visit and helping adults regain a confident smile through functional and cosmetic dentistry. Dr. Audrey received her Bachelor of Science in microbiology at the University of Illinois at Champaign-Urbana. She earned her DDS at the University of Illinois at Chicago College of Dentistry. She’s a member of numerous professional organizations, including the American Academy of Cosmetic Dentistry and the American Dental Association. Dr. Audrey was named Top Dentist in 2012 and 2016. At Algonquin Smiles, Dr. Audrey creates a friendly, caring, and supportive environment to meet all of your dental care needs. She handpicks her staff of hygienists, assistants, and office staff based on their positive attitude and commitment to creating a stress-free and comfortable experience for everyone who visits Algonquin Smiles. 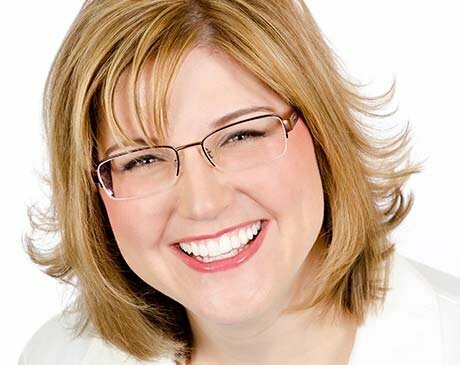 Dr. Audrey prides herself on staying up-to-date with the latest research and bringing new techniques and technology to Algonquin Smiles. She aims to provide you with compassionate, high-quality care in a modern, clean, and calm setting. A resident of Algonquin since she was a small child, Dr. Audrey attended H.D. Jacobs High School. She currently lives with her husband in Huntley. Dr. Audrey enjoys traveling, spending time with her family and friends, gardening, bird watching, digital photography, hiking, scrapbooking, and crafts. She’s currently learning to play the piano and cook.